If there’s one thing that’s sadly lacking in the sport of offshore racing, it’s females behind the wheel and at the throttles of boats. At Powerboat Nation, we fondly recall the career of the legendary Betty Cook (1923-1990), the world champion racer and Motorsports Hall of Fame of America member. She won a total of 17 races, and was the recipient of two world championships in the 1970s. 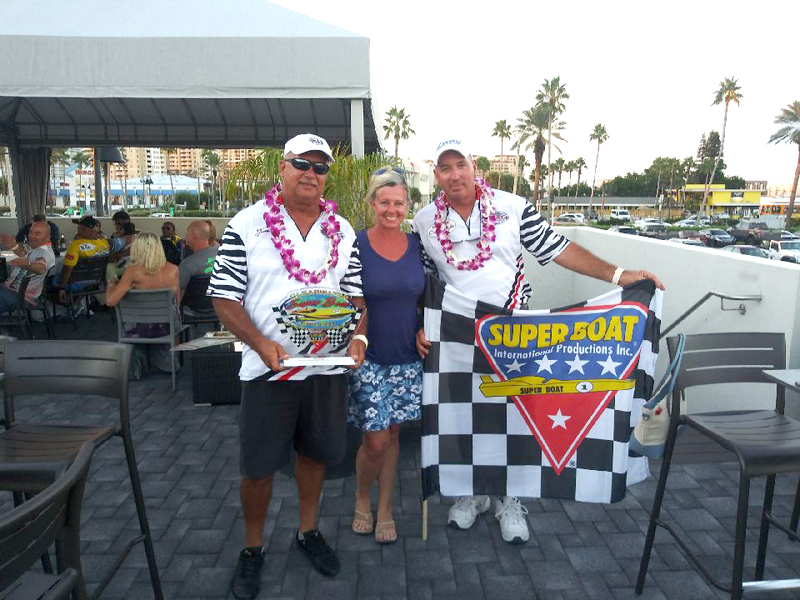 Cook was also the first woman to win the powerboat world championship in sport dominated by men. When the pair met Martin Sanborn at the Miami International Boat Show, he got them interested in the P1 racing series, and in short order, they had racked up 44 races between them. 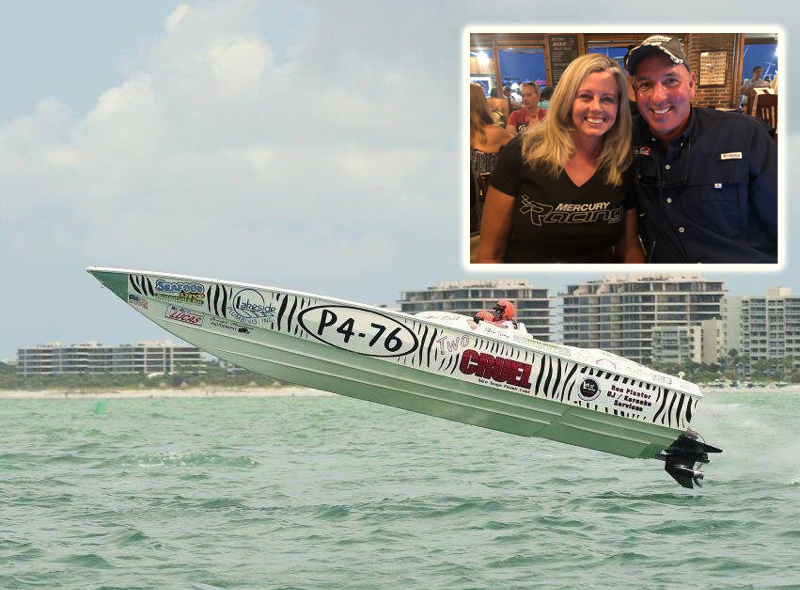 Now that the couple are racing with Racz and part of the competition in Key West, the excitement has definitely reached all-new levels. “Wednesday was kind of rough,” Cynthia admits. “We didn’t get a great start, and ended up taking second. It was not where we wanted to be, but it was good. Friday was a different story. We got an awesome start.” Making their win all the sweeter was the fact that Friday was Cynthia’s birthday—which led to extreme celebrations that evening.